Just two days before vacating 1600 Pennsylvania Avenue, President Barack Obama reiterated his clichés about US protecting small countries, blamed bad relations with Russia on Vladimir Putin, and called situation in Israel a threat to US national security. The first question was about his decision to commute much of whistleblower Chelsea Manning’s sentence. Convicted whistleblower Chelsea Manning "has served a tough prison sentence,” Obama said, noting the 35-year prison term imposed by the military court. “It has been my view that given she went to trial, that due process was carried out, that she took responsibility for her crime, that the sentence she received was very disproportionate relative to what other leakers have received, and that she had served a significant amount of time, it made sense to commute – not pardon – part of her sentence,” he said. Commutation sent a message that whistleblowers “need to work through established channels,” he added. Q: Concerned commuting sentence of #ChelseaManing will embolden leakers? In the internet age, the US needs to embrace transparency, but there are “bad actors out there who wish to use that same openness and transparency in order to hurt us,” the outgoing president said. Obama said he desired a “constructive relationship” with Russia when he got into office, and blamed Russian President Vladimir Putin and his “escalating anti-American rhetoric" for the "return to an adversarial spirit" between two nations unseen since the Cold War. "Lets have a constructive relationship with Russia"
Washington must ensure that “big countries don’t go around and invade and bully small countries,” he said, repeating a line from his September 2014 speech in Tallinn, Estonia. US sanctions against Russia were solely due to Moscow’s actions in Ukraine, Obama said, holding that up as an example of the US role in upholding norms and rules in the world. “In every multilateral setting, the US typically has been on the right side of these issues, and it’s important for us to stay on the right side of these issues. Because if we – the largest, strongest country and democracy in the world – don’t stand up for these values, certainly others like China or Russia won’t,” Obama told reporters on Wednesday. The two-state solution was the only way of guaranteeing that Israel would remain both a Jewish state and a democracy, Obama said, justifying his administration’s decision to abstain from a UN Security Council vote on Resolution 2334. Q: Worried about ME with #Trump admin. position on #Israel? Trump and his team will have a new policy, Obama noted. “We’ll see how their approach plays itself out,” he said, warning against any sudden, unilateral moves – such as relocating the US embassy to Jerusalem, an issue championed by the president-elect. Asked how he would explain the election outcome to his daughters, Obama waxed maudlin. “There is a core decency to this country. They’ve got to be a part of lifting that up,” he said. “I think we’re going to see people of merit rise from every race, faith, corner of this country, because this is America’s strength,” Obama told a reporter who asked if there will ever be another African-American president. 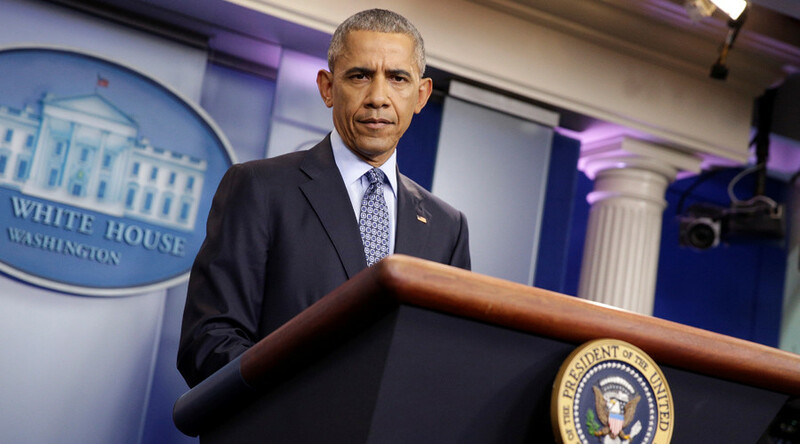 “That’s not who we are,” Obama said, resorting to a frequent refrain of his administration.